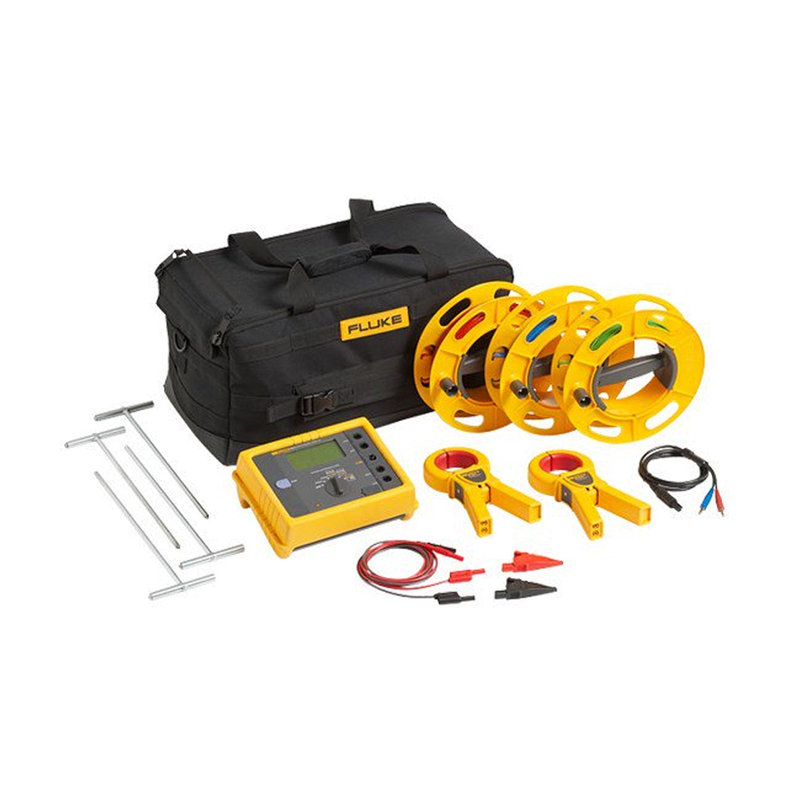 The Fluke 1625-2 offers you simpler, faster earth ground tests than ever before. The 1625-2 offers internal memory storage up to 1500 records, accessible via USB port for rapid data transfer and viewing of results. 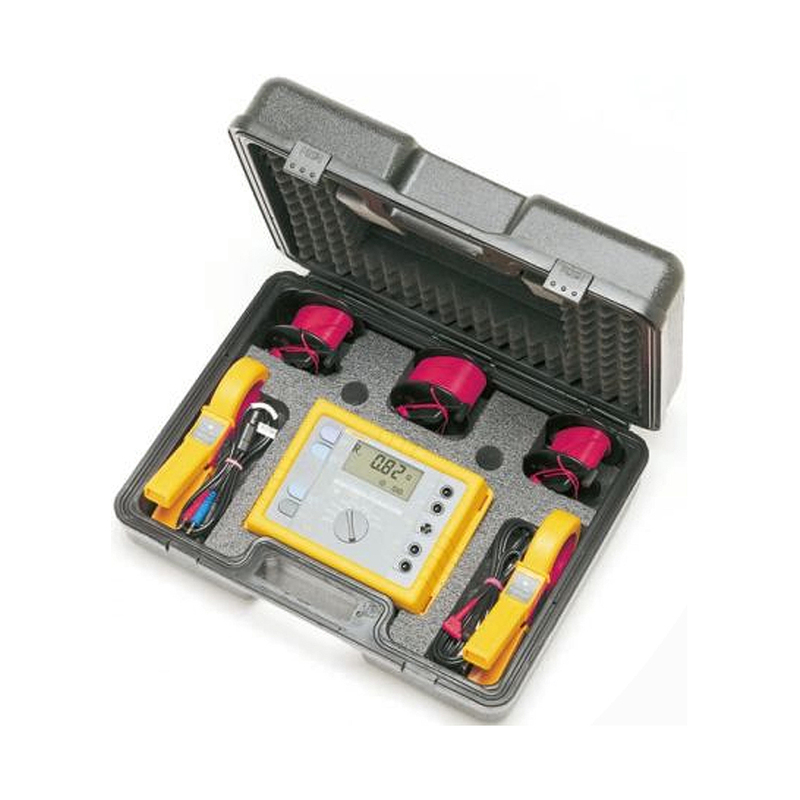 This earth ground tester also gives you world-class accessories that take the tedium out of earth ground testing. New wire reels speed up setup and tear down time as much as 50%. Heavy duty stakes can be hammered into dry, hard soil. And new color-coded wires make setup simple and help eliminate mistakes. 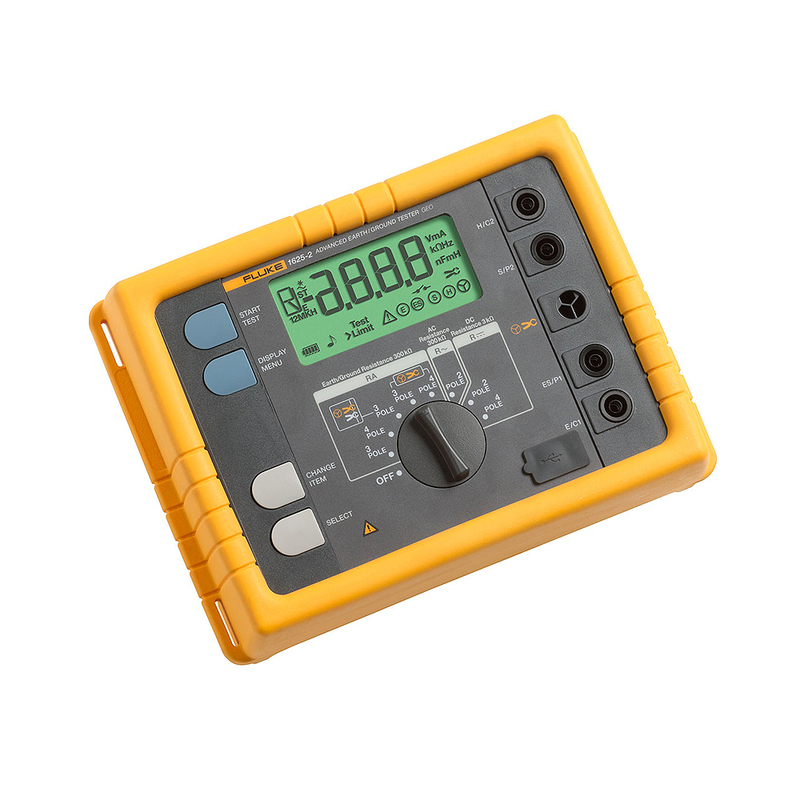 If after a measurement of probe-, auxiliary earth electrode- and earthing resistance, a measurement error of higher than 30% is assumed because of the influencing conditions, the display shows a warning symbol and a notice that RS or RH are too high. 1. 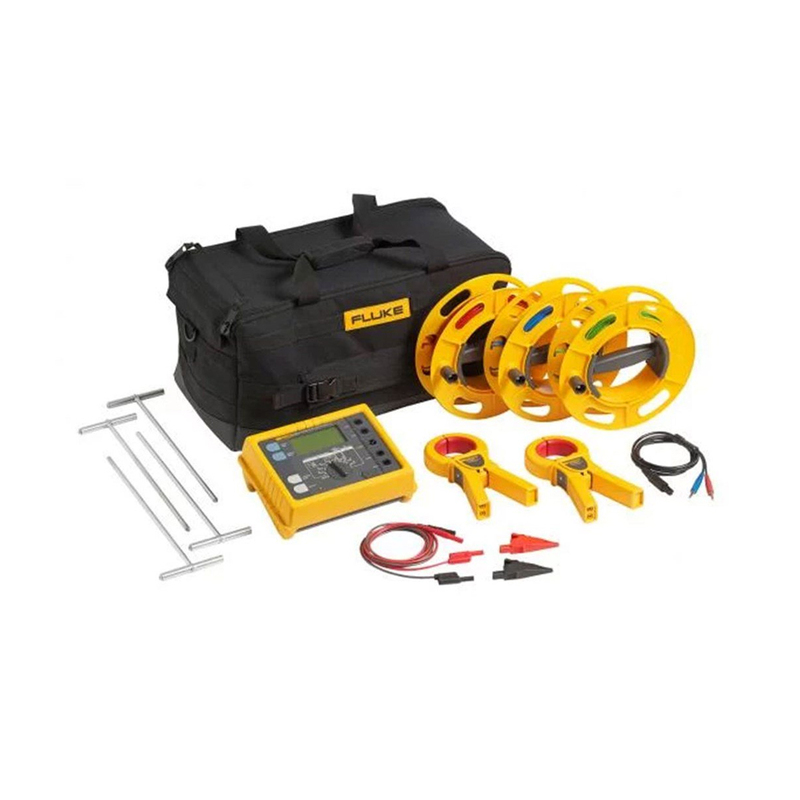 With recommended current clamps/transformers. 2. 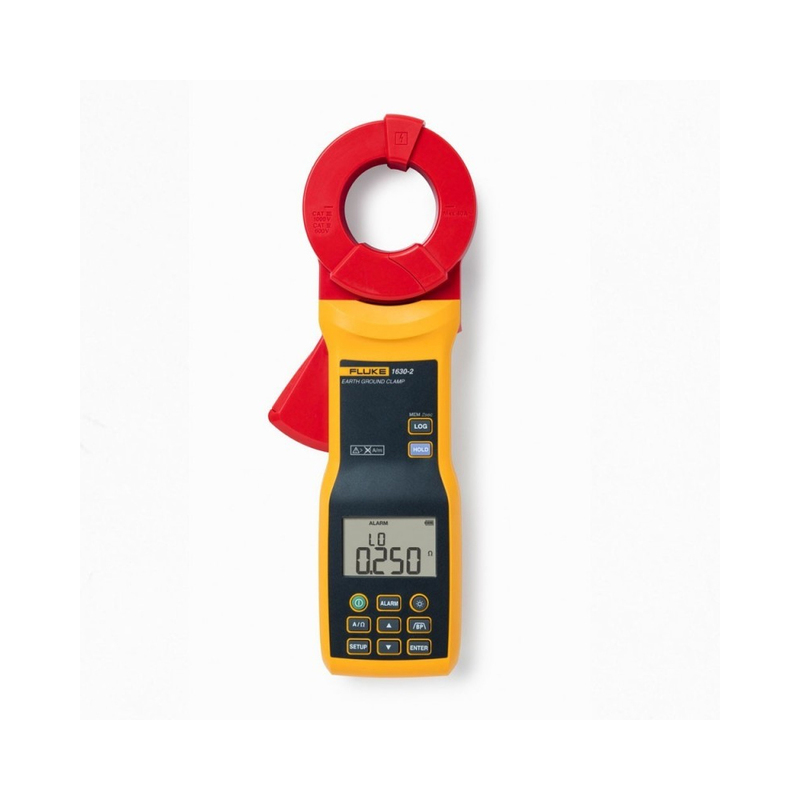 Value of setpoint entry RK = 0.000 Ω, variable from 0.000 to 29.99 Ω by means of measuring adjustment.